Anabelle has long been an advocate of changing and improving the way we learn. She wants to revolutionize education and the contribution of knowledge and has devoted countless hours of work and research towards this end, especially to identify the ways in which areas such as art history, memory techniques, gaming environments, online communities and education may combine to elevate the learning experience. Mymemoree attempts to replace the weight of conventional learning by elevating it to an innovative, interactive, memorable experience. We are aiming to put the life back into learning. 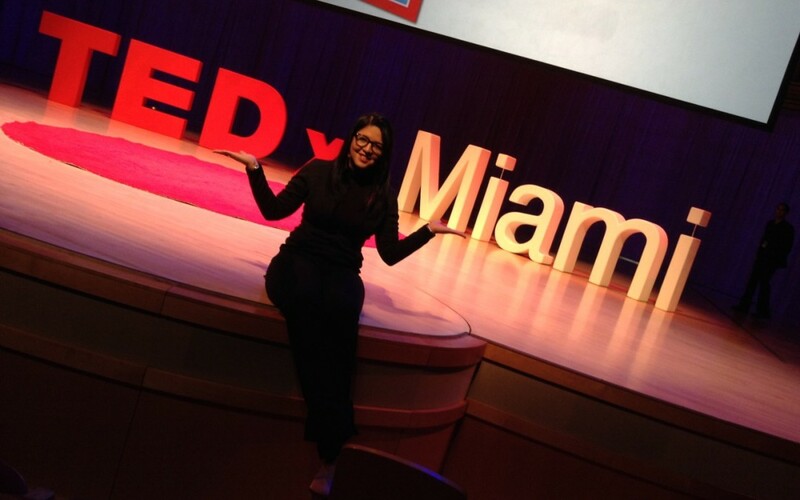 Her passion and entrepreneurial personality in this unique category has led her to discuss Mymemoree and the proposed learning technique in TedXMiami in October 2013. She has also participated as panelist at Codella, a Miami startup that aims to teach girls how to code. We live in a world where kids are forced to go to school and forced to log out of their online videogames. The platform, currently under advanced development, has gone through several iterations, fine tuning to the different ways people’s memories work on different subjects. Mymemoree not only attempts to improve learning but also seeks to stimulate communities to contribute and share their knowledge through interaction. Currently, Mymemoree’s team is composed of Luis Cisneros, Jey Van Sharp, Winston Peters, Kwasi Gyasiand Anabelle. The product is in advanced stages of development and the team is now in the lookout for an IT partner that shares their beliefs. Don’t worry so much about getting the A in school. Worry about what you are learning. When you have the opportunity- take calculated risks – no one ever got anywhere great by playing it safe. If you don’t like something change it. If you can’t change it, change the way you think about it.